In order to stop the hunger and decreasing the number of families that are not food secured, we must act intentionally. Group FDF takes action by spreading awareness about the hunger epidemic in the United Kingdom. We would like people and organizations to understand the importance of equality on all fronts, which also includes the access to food and meals. 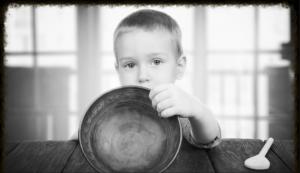 By reaching out to others, Group FDF tries to show the harsh reality of starvation and hunger. A balanced meal for every family in the United Kingdom is something that we are aiming for. This shouldn’t be too difficult, since there are a lot of companies and organizations out there that share this same goal. One of them is Pepperstone, a professional trading company that operates in the UK market. After the team of this company entered their brand new office, they were determined to learn more about the culture, society and national challenges. It was then that this company learned more about the hunger epidemic and the dedicated organizations, which was very confronting to all of them. The team reported this issue to their management and decided to take action as well. The company decided to collaborate with a professional fundraiser in order to organize a charity event, which they eventually named End the Hunger. A new concept was born and it was something that never happened before in this particular area on such a big scale. Because of their great network, Pepperstone was capable to lift the marketing process to the next level. The upcoming event will take place in the city of London and the location will soon be announced on the website of the company. We at Group FDF already started our research regarding this event and we are very excited about the outcome. We have found out that this new concept contains an unique approach that will definitely increase the amount of donations and help. During the event, visitors will be invited to donate money and food to the organizations that are willing to stop the epidemic. To motivate the people that are interested in these organizations, the day will be included with live music and many great performances. Besides the acts, End the Hunger will provide a lot of different entertainment and activities during the event. Group FDF is very excited about this company and their interest of making an effort for the wellbeing of our people. Together we can strive to live by the truth and together we can make a difference. Donating to food banks and organizations dedicated to ending this situation is the fastest and easiest way to get involved. We would like to invite everybody who is dedicated to help out to come to this great event in order to understand more about what you can do. Our team of Group FDF will attend this event as well and are very looking forward to this great step in the right direction. Soon, more details about End the Hunger will be announced on our website!